Flora and Fungi Garden Alive! No, this isn’t the Ed Sullivan Show and I’m not introducing Liverpool’s most famous rock ‘n’ roll jet setters (wrong spelling anyway). I’m not even talking about the Volkswagen, which, incidentally, I heard a while back might be retiring our lovable Herbie. No…I’m talking about the tiny little members of the Order of Coleoptera that decided to make a perplexing appearance in our pollinator garden this spring. So now we had a double quandary on our hands. Not only did we not know for sure what plant species we were looking at, but we had NO idea what kind of beetle this was. I can’t tell you the hundreds upon hundreds of insect photos that I have from our first year in the pollinator business, but I KNEW that I had NEVER documented this beetle before. This is where I diverge from the average gardener. Most would feel an alarming sense of urgency to undertake eradication. The pirates…may they plunder no more! But this is where I, the consummate student and researcher, come in. My first thought is to ask, “Why is this happening?” Then I use words within my brain like “observe” and “study.” Then I tell myself to look beyond what is right in front of my nose to see if anything else about the remaining surroundings is of interest. And then, of course, like every other good human, I turn to Google®. I’ve logged insects for about a year now. I’m getting pretty good at keyword descriptive searching, so it wasn’t long before I came up with several articles on Phaedon desotonis, or, what we can all more lovingly call: the Coreopsis Beetle. Well, that killed two birds with one stone. When you know the insect, then nine times out of ten you can research its host plants and narrow down to the plant that you have. Coreopsis would definitely have been an indentification option for these plants. It all made sense once the devouring culprit was named. Through my research I learned that wild Coreopsis is the state flower of Florida, and these beetles have been a NIGHTmare for them. That’s when I also discovered, unbelievably, a 2012 article by Mike Merchant with Texas A&M Agrilife Extension on the very subject of this beetle beginning to pop up in Texas. I say “unbelievably,” because Mike happened to be the instructor on entomology for my Master Gardener’s certification coursework. In that same search, I also stumbled across a post by the Texas Invasive Species Institute (TISI) calling for residents to report any establishment of the species in Texas. So, I reached out to both Mike Merchant and TISI to report my findings. Of additional interest was the fact that we had two other varieties of Coreopsis, that we already knew about from the previous year, that the beetles didn’t seem to have as much of an interest in. Or, maybe, when given the choice between several varieties, they just preferred one over the other two. Kind-of like if you give a kid the choice of broccoli, a bowl of strawberries or chocolate ice cream…he might be willing to eat all three, but he’s going to go for the chocolate ice cream first. And if his stomach fills up on chocolate ice cream, he likely won’t have room for strawberries and broccoli. So, I collected a dozen or so beetles and then just watched the garden to see what happened. I’ve had enough experience to know that if you sometimes just let something run its course, the plants can come back and thrive. As long as enough green is left to keep photosynthesis going, nature keeps pushing them forward. That is exactly what happened in our garden. The beetles ran their course, and the plants continued to put out more leaves. I waited and waited to see the chocolate ice cream once it bloomed, so that I could include that in my findings to TISI. It ended up being a Coreopsis variety that is more often referred to as “Tickseed,” although you might hear some people call any Coreopsis a “Tickseed.” Now I had the images of all three varieties in bloom, especially noting the one the beetles absolutely loved. So, my beetles and my data are headed to TISI for evaluation. We’ll see what the “official” findings are. 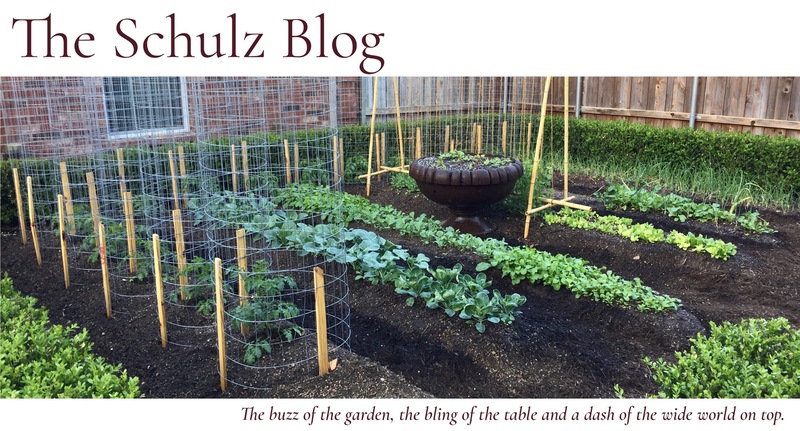 I chose to write this post because, as I’ve now completed the coursework and final exam for my Dallas County Master Gardener’s certification, I learned that a vast majority of questions that come in from the public involve, “What is wrong with my (fill in the blank)?” In the event that you one day stand scratching your head in dismay saying, “What is wrong with my Coreopsis?? ?” as it devolves from lovely green seedlings to sticks, may you remember to peer down and hunt for a little shimmer of gold…and then hit the Tito’s. Another great post and a wonderful reminder to always be a student and be willing to learn new things. Love the pictures of the blooming plants.